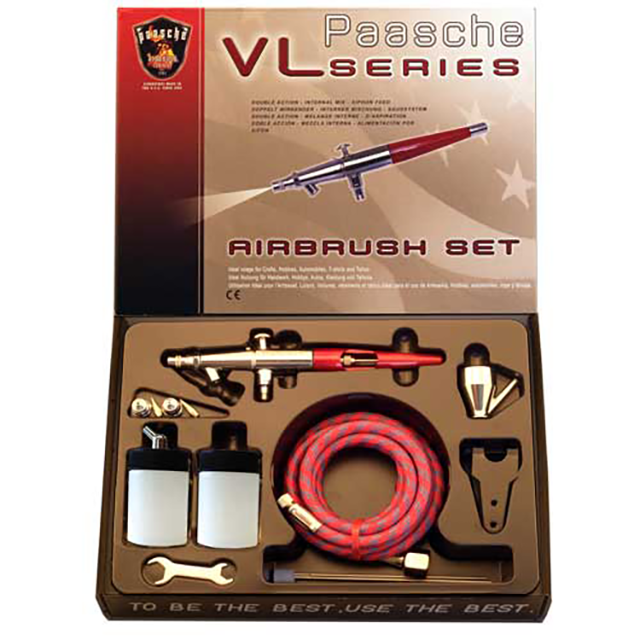 The Paasche VL-202S Airbrush Set has already become popular with many users due to its gorgeous airbrush from the VL series. And it’s because all airbrush guns from this product line allow for spraying both thick and thin mediums. Besides, Paasche VL double action airbrushes are extremely durable owing to needles made of stainless steel and tips out of silver. 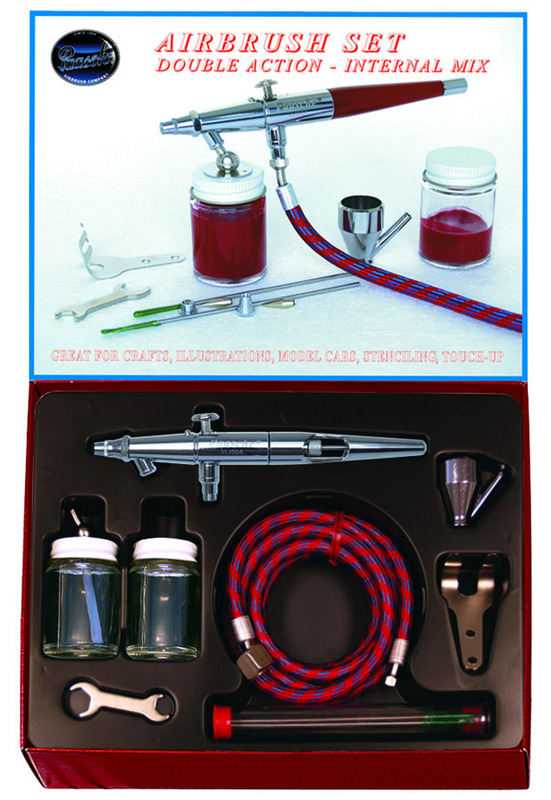 In view of that, it’s possible to use these airbrushes as with water- and solvent-based mediums. This is also the reason why the VL type airbrushes can handle any kind of fluids, whether it has light, medium, or heavy consistency. 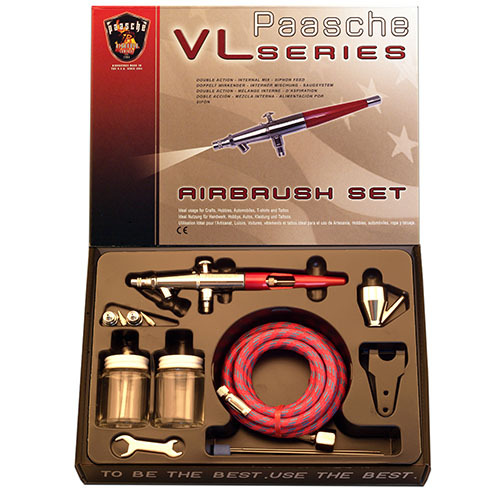 Moreover, the Paasche VL-202S airbrush kit comes with three interchangeable head sizes. With them, you’ll be able to easily get the desired spray pattern. 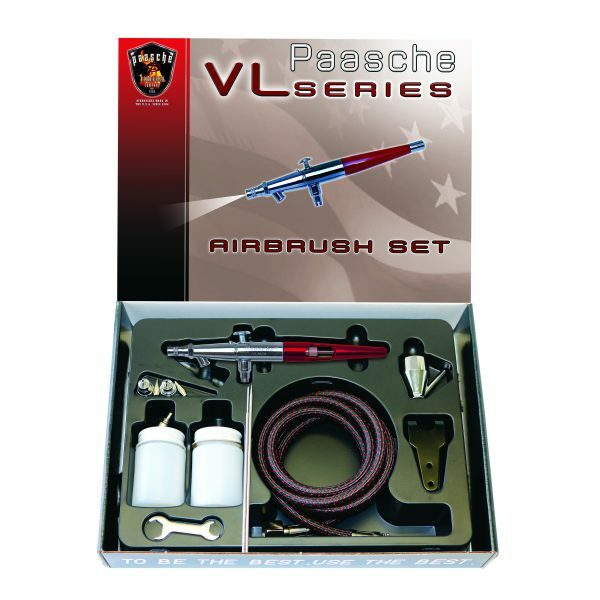 Paint small details or cover broad surfaces: all that can be easily done with such versatile airbrushes from Paasche. Beyond that, Paasche model VL airbrushes are actually pretty easy-to-clean. When you remove the rounded head it won’t be any problem to get rid of even dried paint.